SINGAPORE - "My wife has already booked our dinner for two at the pool grill for Friday Feb 16 at 7.30pm," reads an e-mail by a guest to a hotel in Singapore. 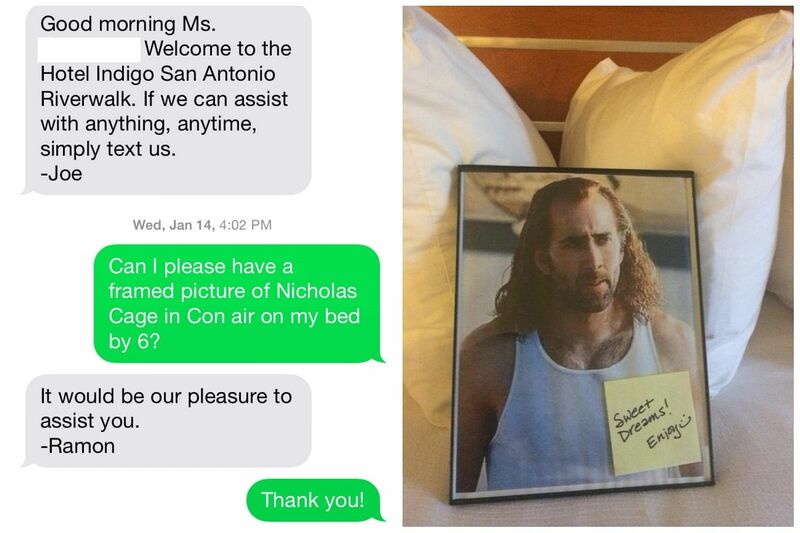 "Our only other request is to have the attached photo of Jeff Goldblum next to our bed." The hotel in question - Singapore Marriott Tang Plaza Hotel in Orchard Road - delivered. 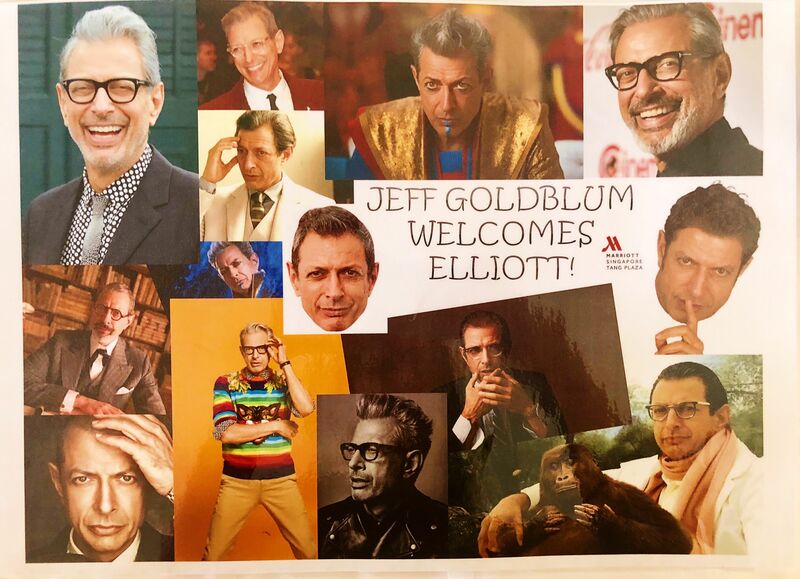 It put up a collage of the 65-year-old Jurassic Park actor on the pillow for the guest, identified only by the name Elliott. The five-star hotel, which has been in business for 23 years, told The Straits Times on Monday (Feb 26) that the guest was "surprised and delighted by the hotel's gesture". Mr Daniel Burstein, the hotel's director of operations, said that the hotel receives special and unique requests from time to time and so "was not surprised by the request". "Our guests come from all over the world, and we will always do our best to accede to their requests, and to create brilliant and memorable experiences for our guests," he said. "We will try our best not to say no. If it's something we can't find or are unable to do, we will find an alternative." "We will, however, draw the line if the requests are illegal or are politically or racially insensitive. However, to date we have not received such requests," said Mr Burstein.